January 1, 2014 Happy New Year! For the two weeks 13 days before Thanksgiving, my husband and I did a clean eating cleanse. I was inspired by several factors. I have some close friends who raved about the health benefits (Thanks for the inspiration, Kim and Greg!). Every time I tell someone about our participation in the cleanse, they ask, "Why did you do it?" It's a very fair question and I expect it, so I have a very honest answer prepared. First, we wondered, if we put better fuel in our bodies, would we actually feel different? Second, while we knew we wouldn't be changing our entire lifestyle to include clean eating, we were looking for ways to incorporate cleanER eating into our daily lives even after the two weeks 13 day cleanse ended. Lastly, while very certain that things would change significantly in the kitchen, I was dying to know if things would change in the bathroom. I got very definite answers to all of my questions. You'll read about them in Part II of this post due out next week. The night before we started, I had what I like to call "The Last Supper". 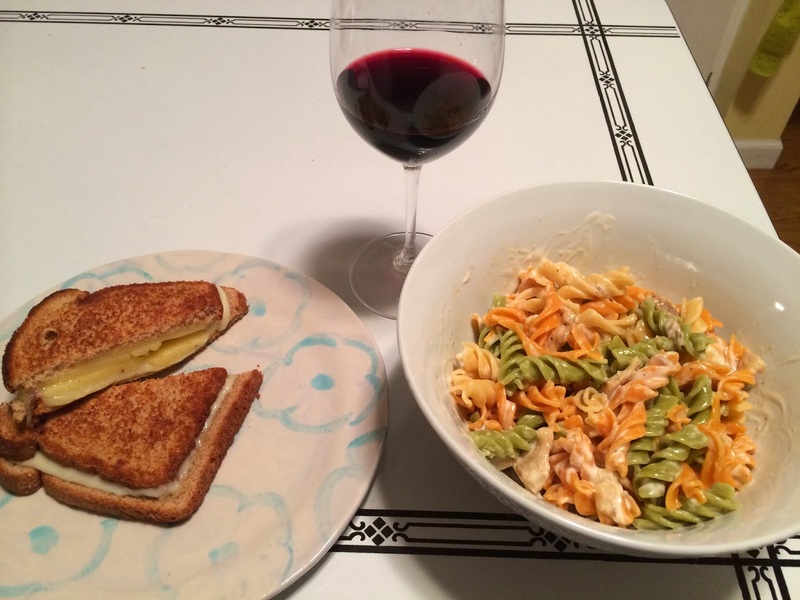 In the interest of emptying the refrigerator of the excessive amount of cheese and finishing the bottle of opened wine, I feasted. My buttery Grilled Cheese with a side of cheddar macaroni and cheese paired so well with the deep red malbec that I didn't have the heart to pour out. (I had to finish it; it would have gone bad in the two weeks that I planned not to drink.) It tasted great going down, but I felt like total crap within an hour of eating! Along with the above-mentioned reasons, the chronic cycle of eating followed by feeling badly was a major motivator. No beverages other than water and herbal or naturally decaffeinated tea. I came up with some great clean eating recipes that were not only tasty, but left us feeling satisfied when we went to bed each night. These clean recipes are only the beginning. Next week, there will be ATE more clean recipes and a day-to-day run down of the good, the bad and the ugly. Find out what happened when I went through sugar withdrawal (yes, that's a real thing) and what food made me cheat! Can you guess? 1. 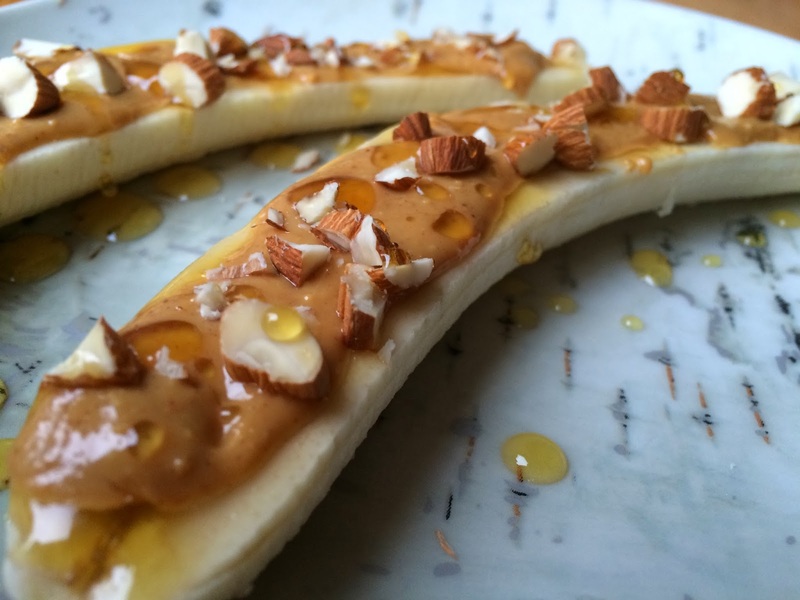 Clean Eating Peanut Butter Banana Snack: I love this snack so much that it has entered into my everyday diet. I often have it for lunch with a Larabar. 2. 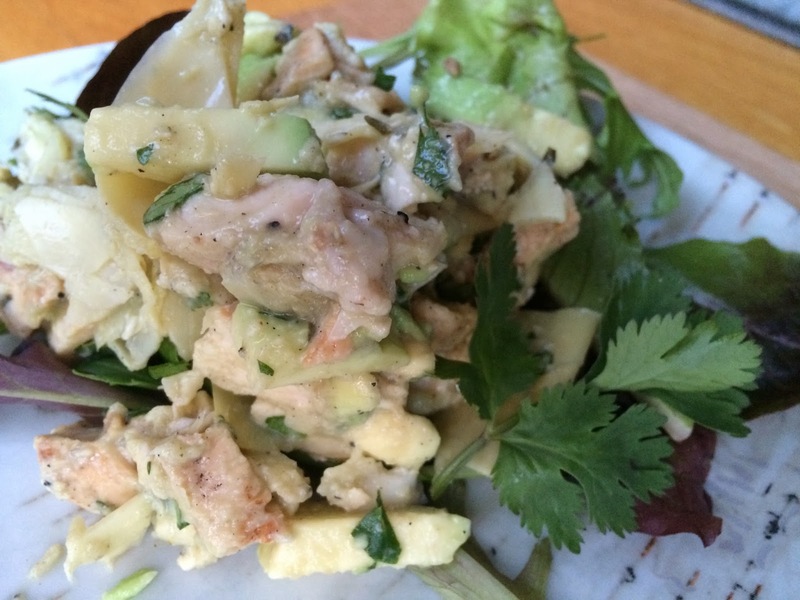 Clean Eating Avocado Chicken Salad: By replacing the mayonnaise in this recipe with avocado, the creaminess stays and the processed crap goes! 3. Clean Eating Baked Apple Chips: These apples are a fantastic after dinner snack to kill those sweet cravings that you are bound to have when going through sugar withdrawal. 4. 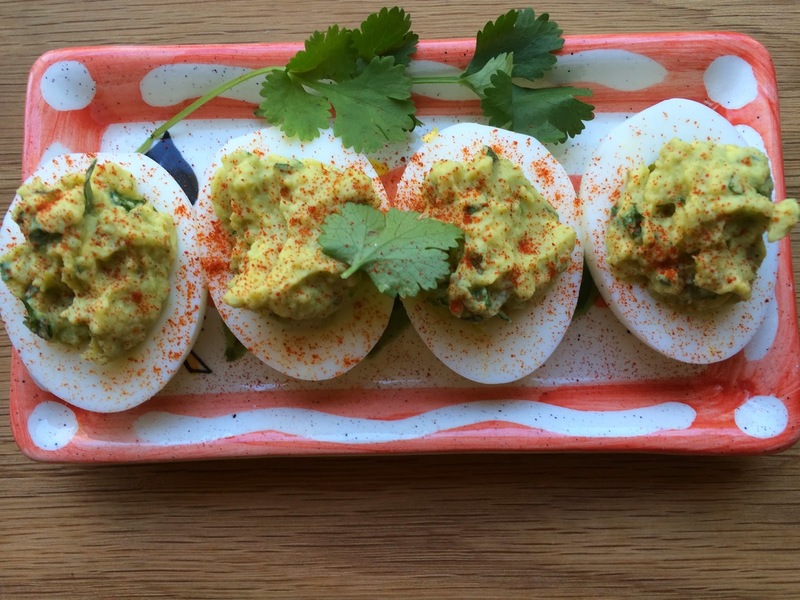 Clean Eating Avocado Deviled Eggs: These eggs are so delicious, I would not hesitate to bring them to a party or event of non-clean eaters! 5. 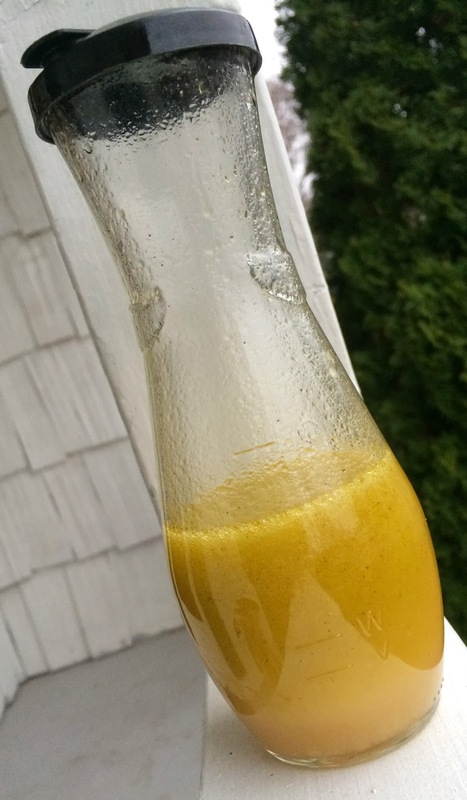 Clean Eating Vinaigrette or Marinade: This marinade is the reason I no longer buy or eat bottled salad dressing. I never thought about or realized how easy it is to make your own dressings. I also love that I control (yes, I am a control freak) all the ingredients. 6. 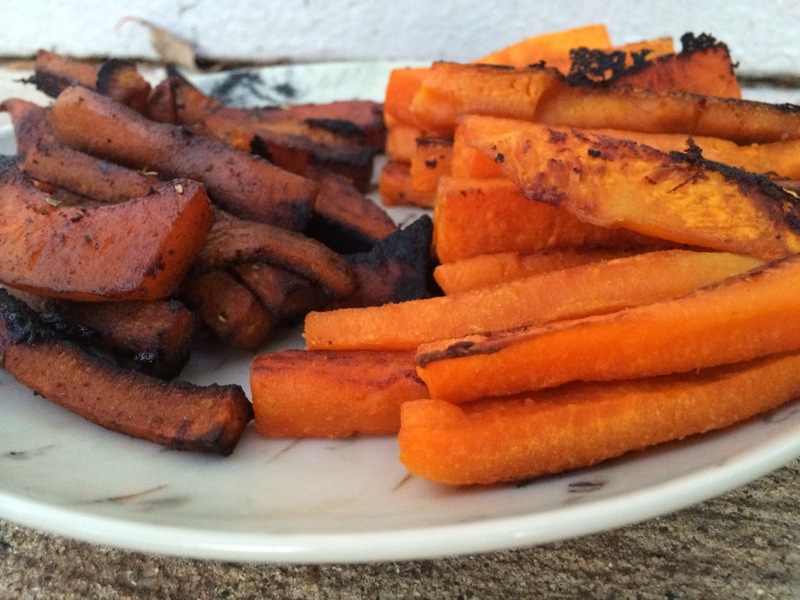 Clean Eating Vinaigrette Glazed Butternut Squash Fries: I couldn't stop eating these. Prepare with balsamic vinegar for a sweeter fry. Try apple cider vinegar for a tangier flavor. 7. 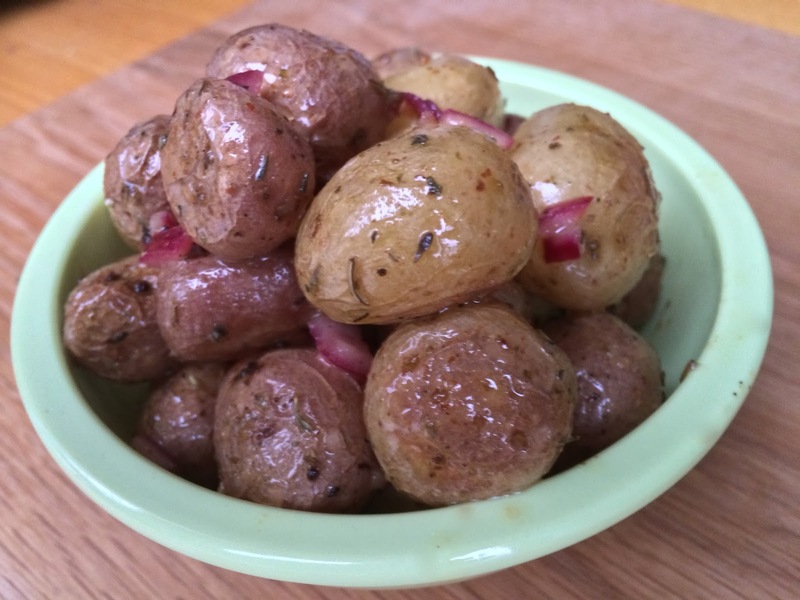 Clean Eating Baby Potato Salad: These potatoes are so cute and flavorful. If I hadn't prepared them myself, I wouldn't have believed I was eating clean! 8. Clean Eating Lemon Tamari Dressing or Marinade: The tamari (gluten-free soy sauce), honey and lemon in this marinade add an Asian flair to any dish.